Japanese knotweed (Fallopia japonica) is well known for growing on marginal land and amenity areas owned by local authorities. As a result, councils have a large, and potentially growing, problem removing Japanese knotweed and stopping it from spreading onto adjacent sites, which are often private gardens. Under current legislation landowners have a legal responsibility to manage the Japanese knotweed growth on their sites and to stop it spreading onto someone else’s land. As a result, councils are tackling this problem in different ways. 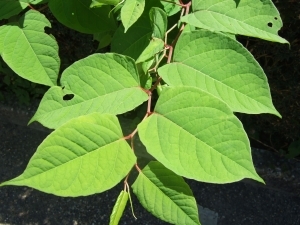 Some councils have set up Framework Agreements to manage the Japanese knotweed growth on their land over the next few years. Other councils are responding to issues as they are reported and are either treating the knotweed growth in-house or are contracting external specialists like Phlorum. However, Newcastle Council has reportedly linked the spread of Japanese knotweed on their land directly to Government spending cuts. Reportedly there was no suggestion from the council as to just how the Government was to blame for the problem of Japanese knotweed. However, after long talks on the need to lobby for more money, the council has apparently set out the penalties facing those who do not tackle the plant.